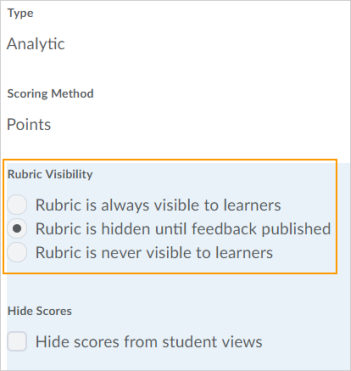 Rubric feedback now has a consistent appearance across tools in Brightspace Learning Environment, including responsive display on desktops and mobile devices. Rubric feedback for assignments now appears at the top of the Assignment Feedback page. The Discussions and Content tools now include overall feedback, detailed rubric feedback, and score.